The Panel is a file containing all of the loci and alleles that may result from PCR amplification. It is used by GeneMarker® software's pattern recognition algorithm to accurately make allele calls. 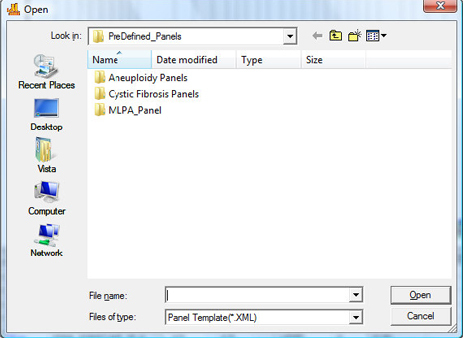 Panel templates for GeneMarker software can be selected from several embedded templates, downloaded and imported from http://www.softgenetics.com/downloads.html (MLPA, MS-MLPA, Aneuploidy or Trisomy, Cystic Fibrosis) or the user can create and save custom panels. Previously saved ABI panels can also be imported from GeneMapper® bin and panel files. Custom panels are easily created in the panel editor; automatically: using signal information from data files or manually: by simply inserting the desired alleles using the mouse. 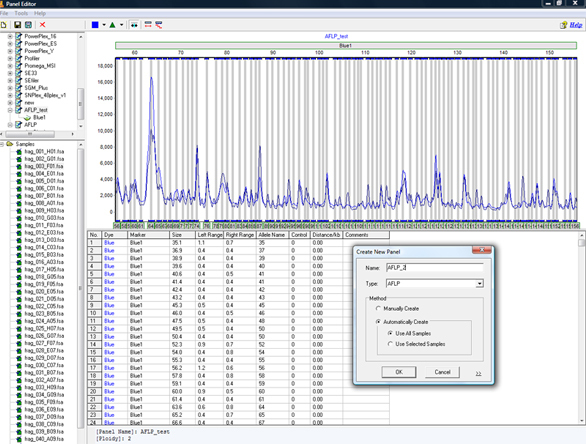 The panel editor also provides a simple method for panel calibration and an auto-adjust function to cope with run-to-run or instrument-to-instrument variation. GeneMarker software easily processes data from ABI®PRISM, Beckman-Coulter®CEQ, MegaBACE® genetic analyzers and chemistries such as Abbott, Aneufast, Devyser, Finnzymes, GenProbe, MRC Holland and others. 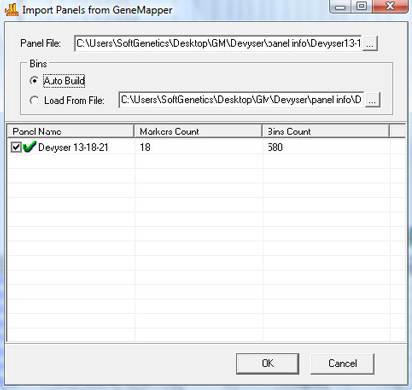 Panel Files for many of the major kits are pre-loaded in GeneMarker software. Access these files by selecting Import PreDefined Panels and selecting the needed file(s). Automatically build panel files from GeneMapper® panel and bin files by selecting Import ABI Panels from the File drop-down menu.